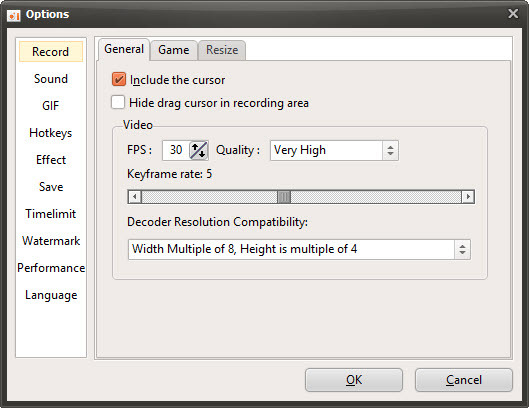 oCam is a free screen recorder software from Ohsoft for microsoft windows OS. You can record computer screen, game, video and audio using oCam. You can download the oCam from below download link . The installer size is around 8MB. It supports the build in AVI, GIF, MP4, MKV, NVIDIA NVENC H.264, M4V, FLAC, FLV, MOV, WMV, TS, VOB video codecs and MP3, AAC, FLAC audio codecs. You can pause and resume the recording process during the record. 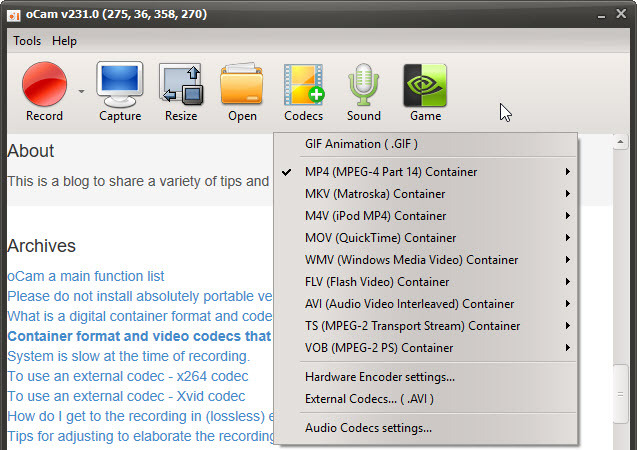 you can also use the external VFW codec. ocam supports large video formats to support more than 4GB and it support dual monitor and schedule recording. Using oCam you can also record the the audio from computer with a variety of sound quality setting. Capture the screen in JPEG, GIF, PNG and BMP image file format. oCam is a simple but powerful screen recorder.